Corporate Social Responsibility services help clients to manage, report, and obtain assurance on the management and reporting of social, ethical, environmental and other extra-financial aspects of an enterprise’s operations. We focus on how such aspects are embedded in your management practices to achieve corporate objectives and respond to stakeholder concerns. At Zeno Trading And Promotions Pvt LTD, people are a priority. We’re committed to upholding our corporate social responsibility, ensuring our products are always produced in ethically sound environments, through a global supply chain that adheres to international standards established to protect people and the planet. We help the coprprates for management of their Corprate Social Responsibility. We as a partner of an company that is engaged in directly managing the CSR project; executing itsproject activities, monitoring the project’s progress; sub-contracting a part of its job in agreement with the company; managing project staff and funds, and carrying out other project management functions. Demonstrate your commitment to pursue profit sustainably with an effective Corporate Social Responsibility strategy. - In india many firms have taken the initiative of CSR practices, which have met with various need of the society. - We will design and help you in implementing suggested programmes which would suit your company’s requirements. - Alben events are well experienced in conducting CSR programmes in community welfare, womens empowerment, Healthcare, environment preservation etc. TGG FOUNDATION is a rural development charity focusing on sustainable livelihood project among the farming community through the empowerment of women and youths. Corporate Social Responsibility (CSR) is more than a priority at DTDC - it is integrally woven into the cultural fabric of the organization. Social responsibilities are integrated into DTDC’s daily work and are at the heart of its unique business model. - That the spending under CSR is compliant under the companies act rules and tax provisions. - That the CSR programmes are sensibly designed and implemented cost effectively. 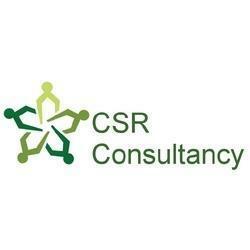 - The CSR programme enhances the company image. - That NGO partners who receive CSR funds are reliableand honest. - That robust systems exist to monitor and control the use of money and resources. CSR programs are all about fulfilling your social responsibilities while corporate responsibilities and we can help you with right campaign, themes and how to showcase or a corporate profile around it. Organisations willing to do some good works for the society but they cannot appoint a dedicated person for it, so here is the solution. GECC will help in planning and managing your CSR (Corporate Social Responsibility) activities related to Environment as per your requirement and budget. We at Tata BlueScope Steel pride ourselves on our role as a good corporate citizen. We actively participate in community initiatives and commit to making a positive contribution at all levels. We believe our actions should reflect the respect we embrace for the diverse range of people and the cultures with which we work. · Help to incorporate Sustainability into strategies, projects and operations.